South Central’s Wellness Center personal training focuses on the physical dimension of health and wellness. The personal trainers are nationally certified and available to develop an exercise program specifically for individual fitness needs. If you are interested in using a personal trainer, call today to schedule your free consultation. A consultation is an opportunity for you to meet with a certified personal trainer. This session is used for you and your trainer to discuss any and all of your goals, questions or concerns relating to fitness and wellness. This is done to ensure that you receive a quality personal fitness program and are medically ready for exercise. 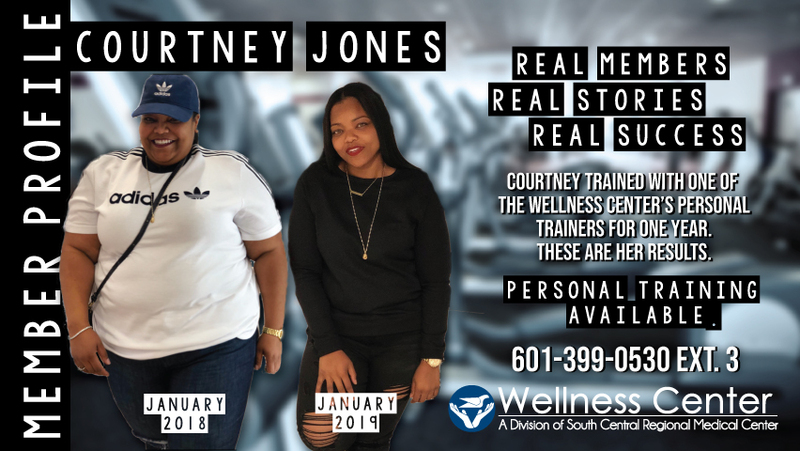 To schedule a consultation, please stop by the Wellness Center or call (601) 399-0530 ext. 3.